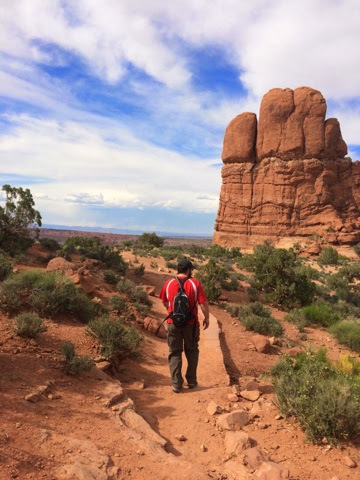 After our rest day in Tahoe City we headed out with the ultimate destination of Moab, UT. It was 800 miles so we knew we would not get there in one day. 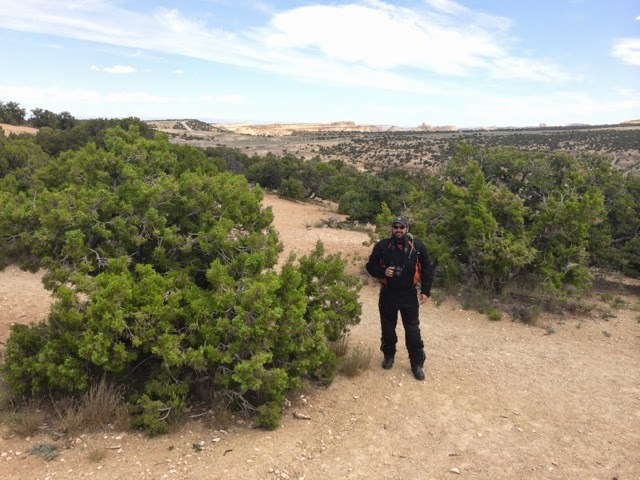 So we settled on our first day goal of Delta, UT which is 530ish miles and a time zone change from Tahoe City. Again, following water in the morning is chilly. Leaving Tahoe City was cold!!! 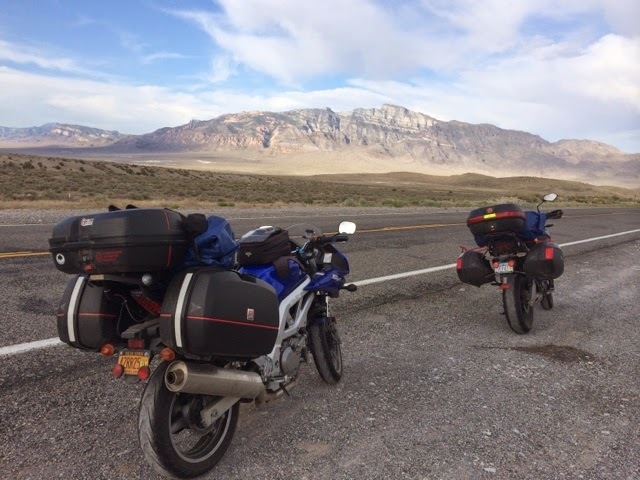 We wanted to ride the "Loneliest Road in America" which I just looked up to see exactly what it covered. As I thought it only covers the Nevada portion of Route 50 and not the Utah portion. 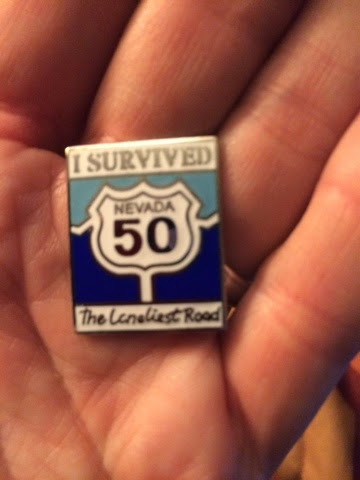 I think since being dubbed the loneliest road in 1986 that it has made it a bit of a tourist attraction so people like me can buy their pins that say "I survived the Loneliest Road" because I really felt the Utah portion to be significantly lonelier. So we gas up in Fallon, Austin, Eureka, Ely - the longest stretch of no gas being 120 miles between Austin and Eureka. Other than that we could get gas every 80 miles or so. I think a fellow in Austin was trying to scare us by really emphasizing the lonely thing. 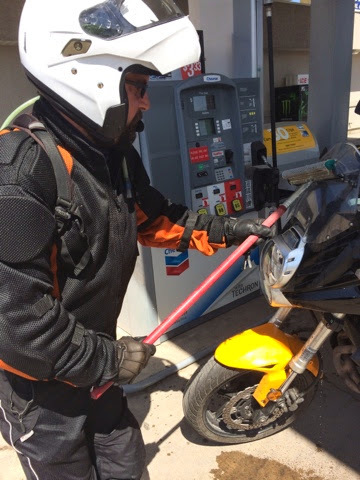 We actually went 150 without gas from Ely, NV to Delta, UT. There was only one gas station the entire 150 stretch but we knew we would make it to Delta. We passed Sevier Lake. I had seen a lake on the map and thought perhaps with water was people and business. As we approached this lake it looked dry, but we weren't sure if it was just low and our eyes were being wacky with glare. I wikipedia'd that as well and apparently is has been dry through most of recorded history. So no people and no business. Nevada was nice, I don't want to insult anything but in my humble opinion the UT portion of Route 50 to Delta (and not beyond Delta) was lonelier and more scenic. 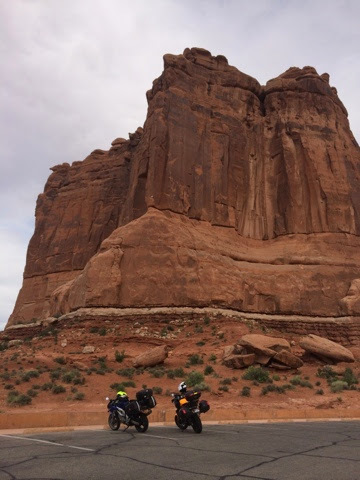 Since we had hit our 530ish mile goal we were able to lube the chains and have a more leisurely ride to Moab. We stayed on 50 which partnered with interstate 15 for a short clip. Then we noticed it partnered with Interstate 70. Bah humbug on those interstates. But what we are learning is that going east to west in a relatively direct fashion is not always easy. For example, the route we are looking at for tomorrow is 289 miles on interstate but 440 miles if we try to avoid it. More on that later. 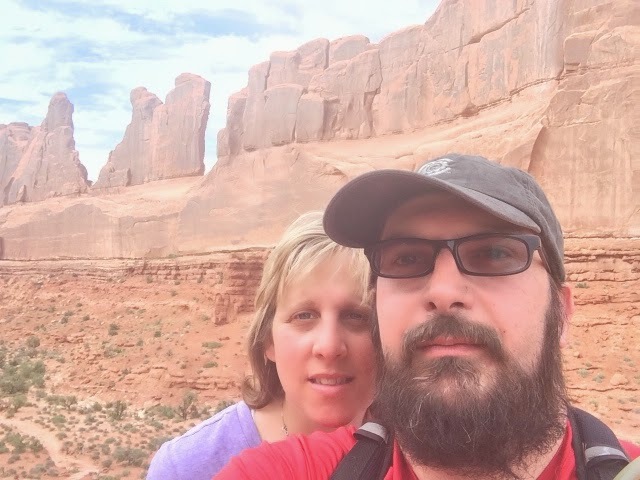 Since I wanted time to see Arches National Park we opted to stick it out. I am glad we did. Interstate 70 from Salina, UT to where we exited for Moab is the prettiest piece of interstate I have ever ridden on. We even took time for a bike wash.
Oh and it was hot!!! 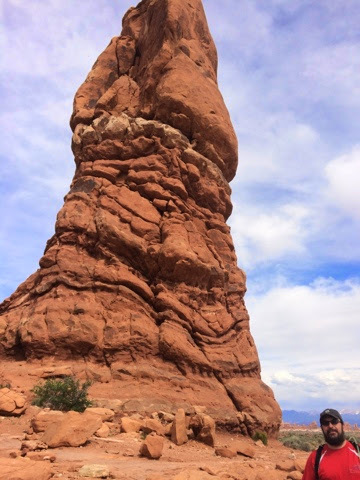 !f Even at 5,000 feet elevation the temp in Moab when we pulled in around 3PM was 97. We decided to check into our hotel first the head over to Arches a bit later when perhaps it would be less crowded and cooler. This way we could cool down and unload. I would have preferred to be here mid-week instead of a Saturday but it is what it is. Tomorrow we are off to Dillon, CO. There is a family friend who is kind enough to allow us to not only sleep at his home but let us change the oil and clean the chains. We have been faithfully lubing the chains every 500 miles but now that we are around total mileage of 5,000 we want to give them a cleaning. We are still watching the tires closely. There are definitely wearing and we are strongly considering replacing them when we get to Tennessee. Since we want to get into town relatively early we will take a direct route to Dillon which will be mostly interstate. From there we have to review our plans and see if we want to make any changes. Still not sure what to do about Kansas.